Are these things %20 things in SharePoint links irritating you? This is how you get them out. 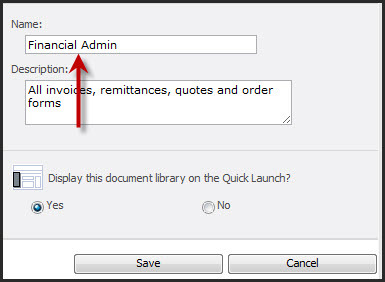 See how it creates the item on the Quick Launch, (in the case of lists and libraries)? Click on Library / List Settings next. 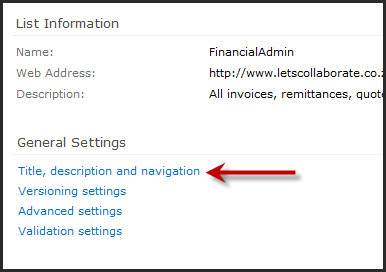 (If it was a site, click on Site Actions – Site Settings – Title, Description and Icon). Click on Title, Description and Navigation. And insert the spaces between the words in the Name. 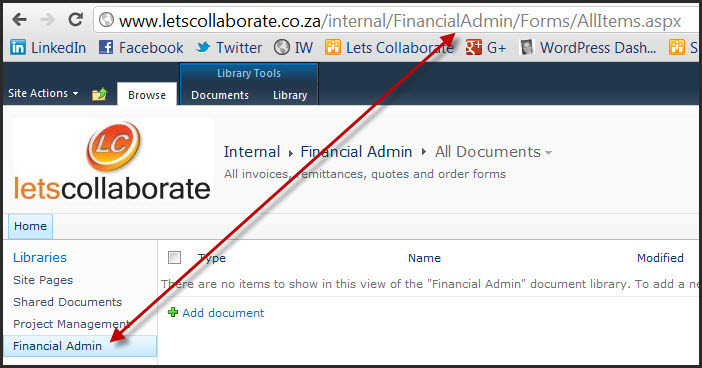 Now click back on your list or library in the Quick Launch and check out the URL. Nice clean URL, nice readable link on your site. Note : This doesn’t work on document names or Site Page names. That’s a great tip if you haven’t already created the library with spaces in the name. Any way to go back and adjust the URL after it’s been created with spaces? Just to clarify, this tip doesn’t allow you to remove %20. It’s more about avoiding them in the first place. This is definitely a good practice, and will pay off in the future if you do more advanced customizations. It can also be applied to column names (e.g. create a DueDate column, then rename it to Due Date).